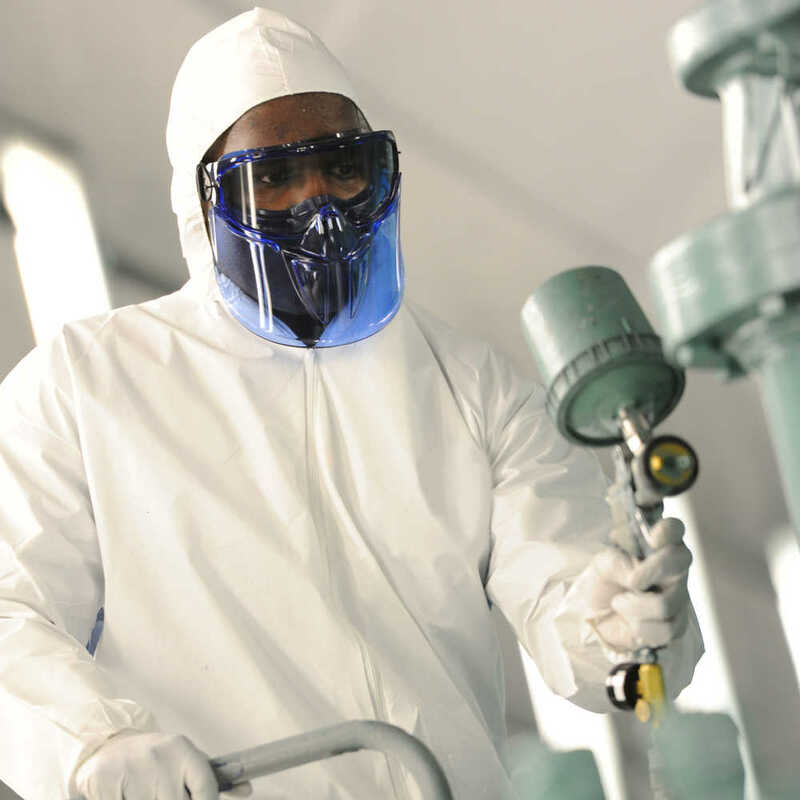 When you have a job to tackle that involves flying particles or splashes, wearing safety glasses isn't enough. 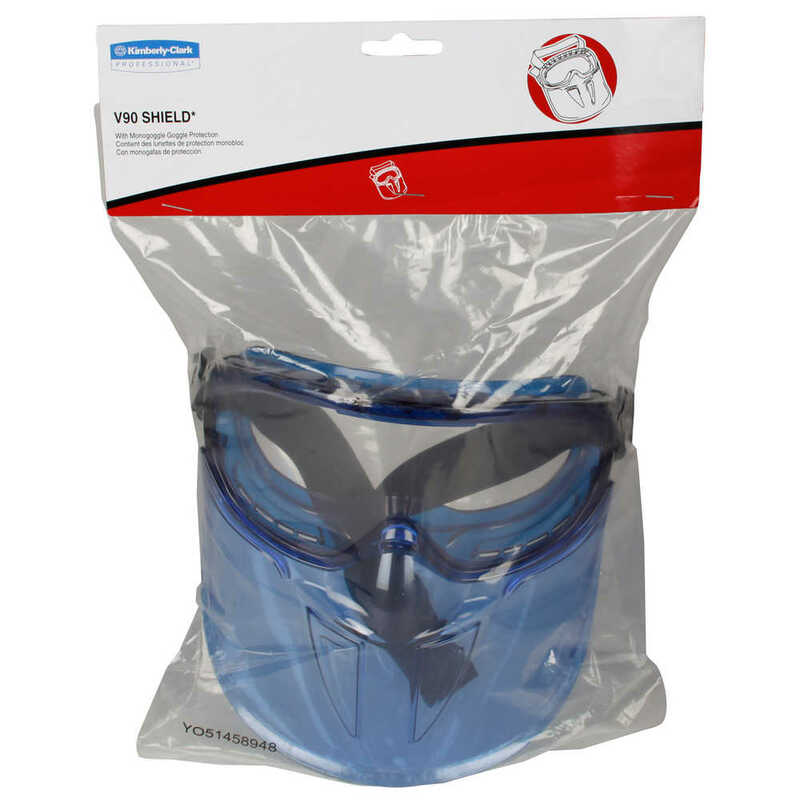 Protect yourself with the Jackson Safety V90 Shield Safety Goggles with Face Shield. It's really like having two products in one, since the face shield mask detaches from the splash goggles. 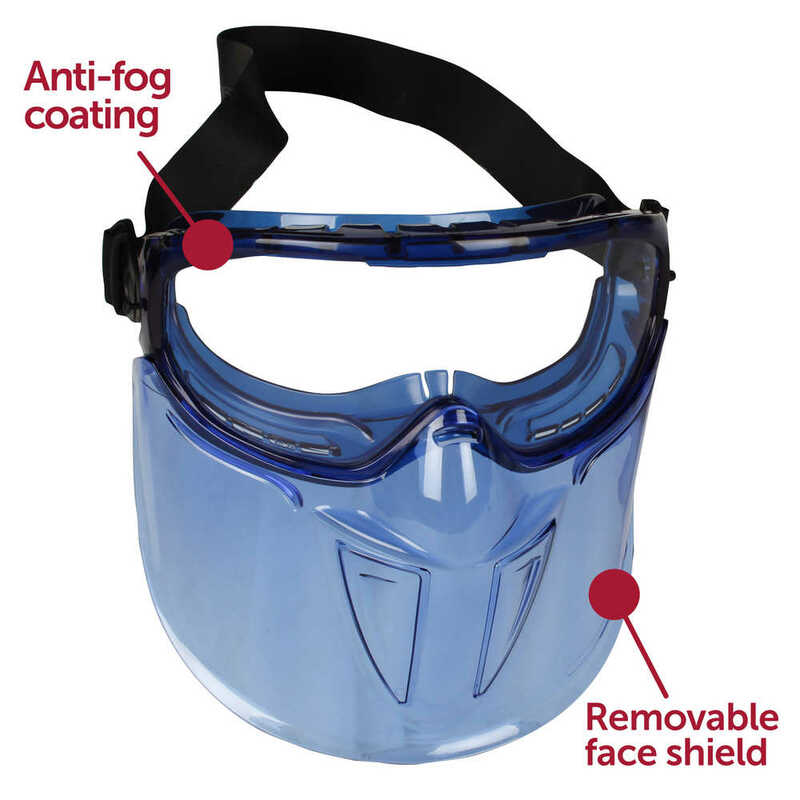 Together, they provide eye and full face protection from liquids and particles without the hassle of primary eye protection underneath a face shield mask. 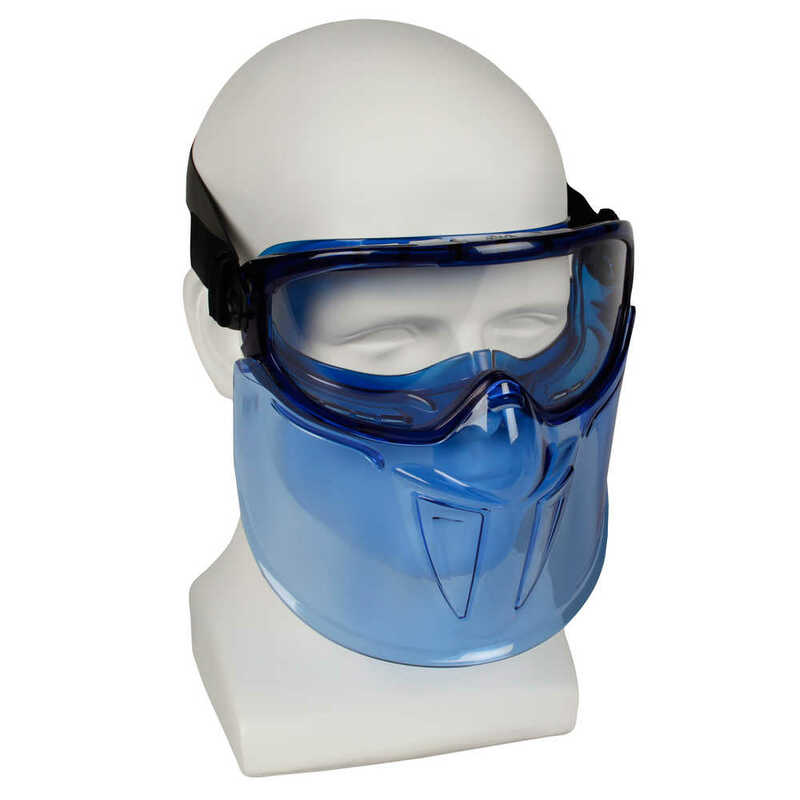 The protective goggles feature an indirect vent that enables free airflow, while safeguarding against liquids entering the eye area. 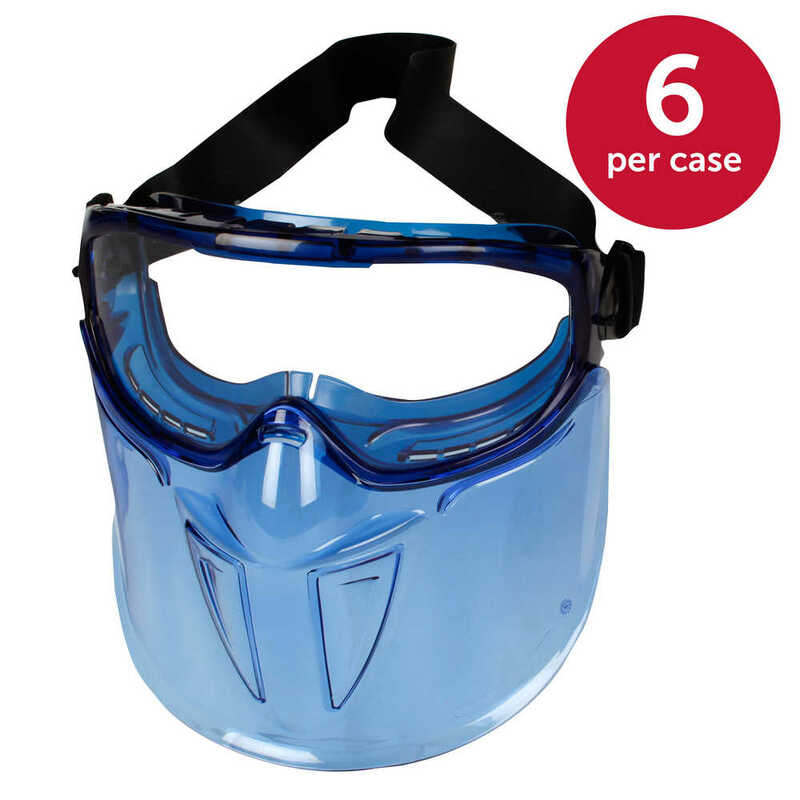 The goggles portion has a soft, pliable frame that conforms to the face for comfort, a cylindrical lens for increased visibility, and indirect ventilation. They can fit over most prescription eyeglasses. 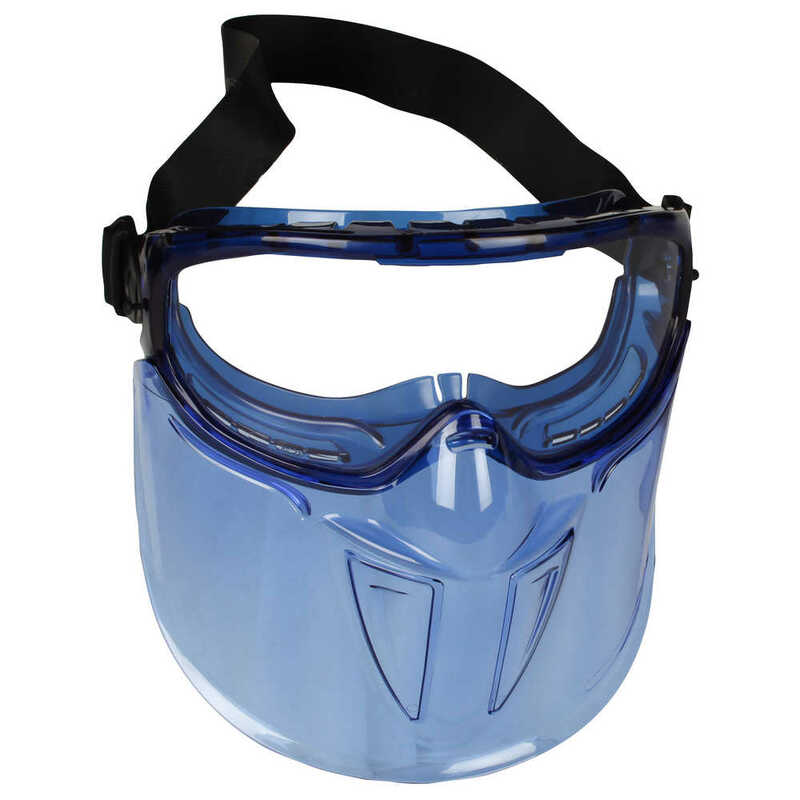 The face shield mask is curved to conform to the shape of face for added protection. The Shield includes an adjustable strap, so that your workers can get a snug fit.